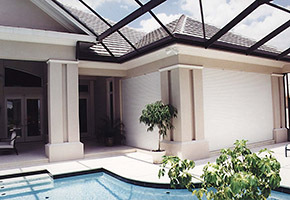 The Smartec Roller Shutter range is specifically designed for covering windows, corner windows, bay windows, sliding doors, front doors including alcove type entrances, skylights and become a space saving necessity for those European type laundry set ups. The Smartec roller shutter range can span to any size up to 3.6 metres in width as a single roller shutter. Unlimited spans can be achieved by support mullions. 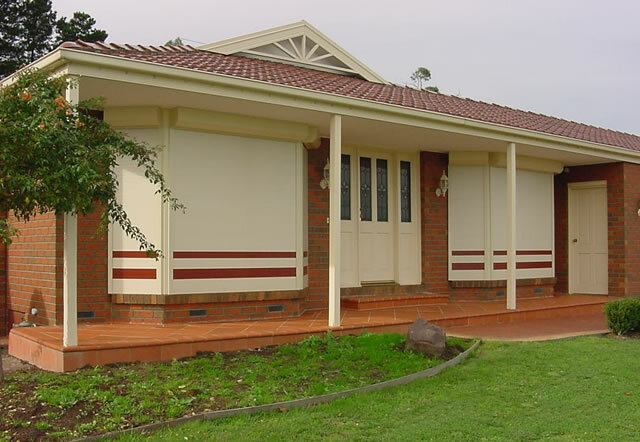 The Security Window Roller Shutter System is an effective and affordable way to give your home the lifestyle and comfort you want and the security and privacy you need. Imagine experiencing cooler summers and warmer winters and then add the year round protection against intruders; noise (ideal for shift workers or nurseries); wind, damaging UV rays and flying debris and ash in bush fire prone areas. 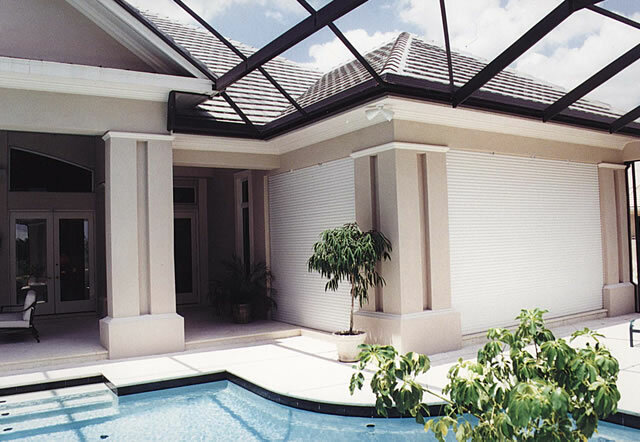 Eurotec Window Shutters are sleek and unobtrusive in design and give you total control over your environment as they are operated from the inside of your home promoting safety and convenience. The Smartec Roller Shutter comprises of an architecturally strength aluminium construction, injected with a high density polyurethane core for rigidity and insulation and coated in a two layered fade and abrasive resistant enamel. Quality is ensured by a meticulous 3 stage test. Firstly the aluminium coil is chromate and cleaned, then oven dried and corrected. One layer of anti corrosive primer is applied to both sides of the coil followed by two layers of anti abrasive polyamide paint to the external surfaces. A range of 15 colours will surely satisfy most discerning tastes. There is constant control of the roll forming cycle and sample testing of the finished product to guarantee its conformity with manufacturing standards. The Smartec shutter meets the requirements of WFRA Standard FES025 C Version 2.31.2: Performance of External Construction Elements Subjected to Simulated Bushfire Attacks, Part C: Radiant Heat Test, issued July 2004 when exposed to 29-kW/square metre total heat flux. In the opinion of the CSIRO, Eurotec Roller Shutters AR6, AR17 and AR32 are suitable for the protection of windows from radiant heat from bushfires and satisfy the performance required to protect windows of clause GP5.1 and clause P2.3.4 of the Building code of Australia 2005. In most instances Security Window Roller Shutters can be manually operated! 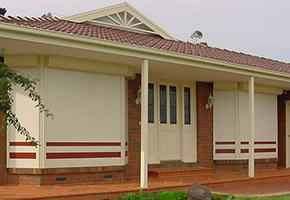 In most brick veneer, weatherboard and cladding homes the most common manual control type, the winch control, is recessed into the cavity of a stud wall, covered by a face plate, which will allow the operator to insert the handle into the winch and gently rotate and hence control the roller shutter to a position of their liking. Double Brick homes are governed by the cavity between the two bricks which will ultimately determine whether or not a recessed winch or a specially designed exposed solid brick winch, which has its own housing, will be used. Strap winches operated by handle or hand are also available and generally used on smaller windows, for instance laundry areas, or where there is limited space on an internal wall. Larger Roller Shutters will require the assistance of space saving direct drive tubular motors (slide into the axle), which makes operating your Security Roller Shutter on a daily basis as simple as flicking a switch or using a remote control.